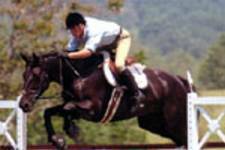 Glendubh, a purebred gelding by Glenlara owned by Bridon Irish Draughts, won his first stakes class at the Blue Ridge Hunt Horse Show on June 4, 2005. The temperature was scorching, but “Christy” got the job done in the Modified 3’9” Jumper Stakes Class. 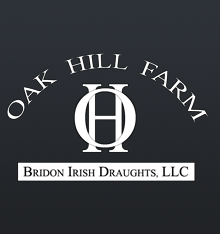 Purebred gelding, Bridon Glenpark (Glenlara ex Queenie Wahine) was the Reserve Champion USDF Dressage Sport Horse at the CDCTA Breeding Day at Great Meadows in The Plains, VA on Monday May 30, 2005.